The postpartum period is such a sacred time in a woman’s life that she will only experience a precious few times. I know when I was pregnant with our first baby I did minimal planning for our postpartum period. By far the majority of my focus was on the impending labour and birth. Having a postpartum plan is something I now recommend to every pregnant woman. I feel like our society is really lacking in recognising what a truly significant time the postpartum period is. If it is not respected and honoured, and the Mother not fully supported, the effects can be considerable and far reaching. I want your heart to swell when you remember this precious time in your life. When you spent your days inhaling the sweet smell of your newborns little noggin while you were cocooned in a nest of love and support. It’s so important that you honour and care for your mind, body and spirit during this transformational time in your life where you have literally been cracked open to bring forth new life – magical! Go gently, you are at once the most fragile, intuitive and powerful you have ever been. 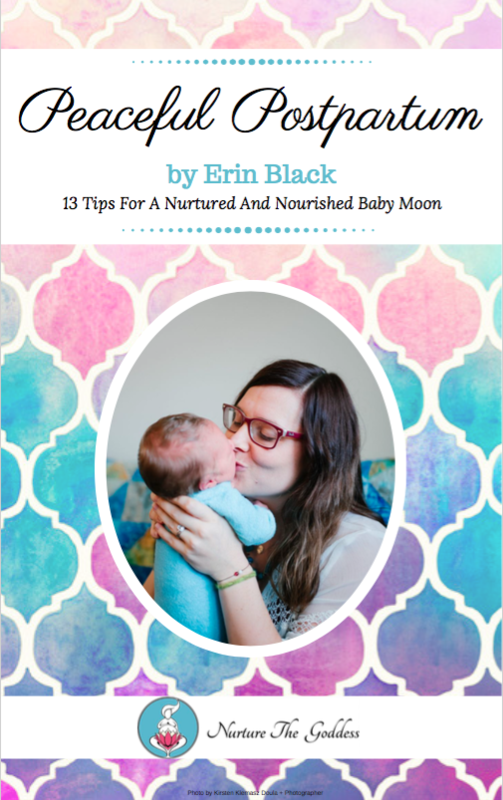 Here are my 13 tips for ensuring as smooth a postpartum as possible. My hope is that you feel peaceful, supported and loved – as all Mothers should.